"I THINK AS WOMEN THE BEST THING WE CAN DO FOR ALL OF US IS JUST TO CONTINUE TO DO OUR BEST AT WHAT WE ARE PASSIONATE ABOUT AND MAKE ROOM FOR OTHERS TO DO THE SAME." 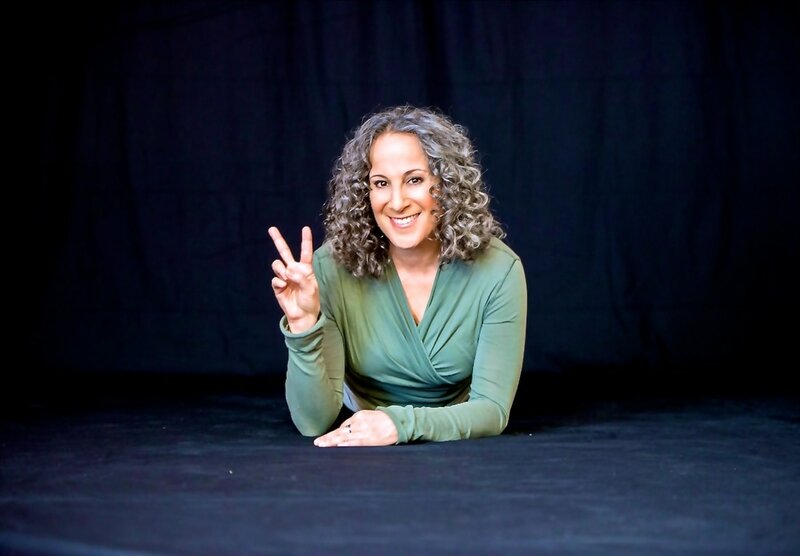 Gina Belafonte’s career is a reflection of her passions and beliefs, a bridge between the arts and activism, focused on a central theme of interdependence. As Co-Founder and Co-Director of Sankofa.org, a social justice organization founded by her father Harry Belafonte, Gina works to help artists become activists by using their platforms to promote peace, justice and equality. By partnering artists like T.I., Chris Rock, Dave Matthews, and Carlos Santana with local grassroots organizations, Sankofa.org aims to use art to invoke action and peace through community engagement. Gina’s career journey is a reflection of these values and stands as its own intersectional testament to the two worlds. Her entertainment background as an actress and producer now serves her current endeavors producing film, theatre, and television productions that focus on cultural content that has a mission and vision around liberation of people. Her documentary film ‘Sing Your Song’ about her father Harry Belafonte’s own career as an artist and activist has achieved international acclaim and was chosen to open the Sundance Film Festival in 2011. In addition to her production ventures and work with Sankofa.org, Gina has spent many years working on gang intervention and gang violence and co-founded the non-profit organization ‘The Gathering For Justice’ that focuses on youth incarceration and the criminalization of poverty. I’d like to start off talking about how you came to be in your current career, which is focused on bringing together the arts and entertainment with activism. I’m guessing it had a lot to do with how you grew up and your family’s interests? Definitely. I grew up in the arts, in a family of artists, and they’re also extremely political people. I watched both my mother and my father use their creativity and their celebrity to shine a light on specific issues. Growing up it was predominantly on the Civil Rights Movement, the Women’s Movement and the American Indian Movement. So I was very sensitized to struggle and challenges and inequality from a young age. Also from a young age, I was very interested in the arts. I started as a dancer in the beginning, then became an actor, and then a producer and director. I found that the most fulfilling work I perceived always had a depth of content, it was the projects that talked about the human condition in our world and our struggles that I found most interesting. And so I just kept on that path. I know your career journey involved taking a step back from the entertainment world when you decided to start a family. It seems like this opportunity to pause along your path is what allowed you to bring more activist work into your life and set your trajectory in a specific direction. Can you speak about the influences that were in your life at this time and how that all came together? I was very excited to become a mother, and in making that choice and choosing to become a parent I had to think about the world we were having our child enter into. Around that same time, certain circumstances presented themselves and there was an opportunity for me to meet this very articulate, passionate man by the name of Bo Taylor who invited me to come and participate in an organization called Unity One that he had founded around gang intervention and prison reform. I had also been given an opportunity on the career side to work in development at a production company at Warner Brothers, and these two things sort of coincided with one another. So as I was reading material that would potentially be put into development, the stories that were the most interesting to me were the ones that dealt with serious issues around a person’s challenges and how they were able to overcome them or not. All the time I was ever-present with my parenting and kept thinking to myself, when my daughter grows up and asks me “What have you done and what did you do?”, I want to make sure I have a good answer for her. Also, I have to say I was very passionate about the issues. I was passionate about Bo’s passion, so I easily gravitated towards that. I also think that because I came from New York City and grew up with the flexibility of a lifestyle that afforded me the opportunity to be in the streets and to hang out in the streets, I felt a comfortability around being in that world. You know, I grew up with two parents who always talked to people in the streets and stopped and had conversations – it didn’t matter who they were, what they looked like, what they did. So when I was with Bo in the streets meeting and greeting and having conversations, it seemed so natural to me – it was natural to talk to strangers and want to treat other people like human beings. So it was my involvement with all those things that began to really give me a set point of view. I knew I wanted to create cultural content that had a mission and a vision around liberation of people, so I just kept going on that path. But I think you’re right though, I think that the universe gave me a pause and I took it and I was able to then articulate in a more defined way where I wanted to focus my energies and my time. Can you talk a little bit about your experience working with your father on his documentary and how that influenced you? I was in a very unique position because I was extremely close to the subject matter, I was sort of the “historian” and one of the head authorities on the subject in a way. I also had the good fortune for my father to be alive and in it, so you know he was a great guide in terms of what he wanted to focus on and in the shaping of his life story. He really wanted to use his platform to shine a light – to show activism and guidance, to inspire. The way we were able to do that was to include the very people and the issues that he was most passionate about, and I got lucky because those were my passions too. So the journey was a long one – it took 7 years to make the film – but it was such a great gift for me to get to work with him in that way and to be included in that, to get to help him tell his story and help shape how it unfolded. It was a great opportunity. He has been such a resource of wisdom for so many people, and I just feel very lucky that he is my dad. Was making the film together what inspired you to join forces and start Sankofa? I think that the bigger idea for Sankofa was really that my father, as he says, was “tired of being a beggar” and wanted to make sure there was a way for the movement to be funded without having to constantly rely on donations from philanthropy. He wanted to create a revenue stream so that we could create cultural content that would shine a light on issues and also invite non-violent direct action; something that could be supported by a community to fund its own movement as well. So with the new technologies of streaming services and downloads and all of that, we’ve aimed to try and create a space for revenue stream and for movement activity. It’s also a space where we’ve been able to help inform artists and support their desire and initiatives to put out content that is in the same spirit. It sounds like many of the choices you’ve made along your path involved venturing into the unknown – when you became involved with Bo Taylor that was a whole different world for you, and when you set out to produce your father’s documentary that was a huge undertaking. I think for many women, the fear of the unknown is what holds them back and keeps them stuck in careers they don’t like. Did you experience this fear as you stepped into these new areas? If so, how did you deal with that? You just have to face it head on and do your best to try and remind yourself of who you are and what your purpose is, what your intentions are. I remind myself that at least if I’m walking into the world with consciousness and I’m doing something with the intention for the greater good, then all will be well. But you know you have to stay in tune, you have to be able to check yourself, because we’re human. We have needs that are sometimes extremely misguided, but nonetheless they’re there and we can’t pretend they don’t exist. So you know, it’s an opportunity for us once again to get a deeper understanding and a deeper perspective of who we are and what we’re doing. Also I think that fear sometimes is a lack of information – a lack of knowledge around something – and if you just find ways to educate yourself on whatever that might be, that will help. Also I know I don’t speak for all women, but I think women in particular have this sense of being extremely hard on themselves. I think in some ways that’s good that we give ourselves the opportunity to demand excellence, but it’s important to not get lost in that fear of perfectionism. It’s more important to make sure our intentions are clear. And that we’re not walking over others in order to succeed. Some women fear that there’s not enough space for all of us, so they come in with this sort of domineering and bulldozer attitude, and they don’t want to share what they’ve created … but on the flipside, the same is true that women are some of the most generous and supportive networks that we have. So I think as women the best thing we can do for all of us is just to continue to do our best at what we are passionate about and make room for others to do the same. You’ve mentioned that you struggled with identity growing up and that this had a big influence on your life. I think this is something many women can relate to – the desire to fit in and the struggle to belong. From your experience, how do you think this deeper search for identity extends into our careers and life purpose? I think that in some ways the desire for identity is a distraction, that we might want to find a way to accept the fact that we simply exist and therefore we are, that we don’t need to have definitions necessarily. I mean, I think that going through a world where you’re asked to identify and asked to give title to who you are and what you do in order to justify being … I just find that more and more what we need to do is accept our own personal existence and just get busy doing. But you know, sometimes we don’t get to that point until very late, and in my case it was late. I probably would have had a different path if I had not been so worried about or focused on trying to find identity. But in some ways it brought me closer to the reality of my humanness and my frailty and my desire to have a greater understanding of who I am and why I am. So you know, we just have to be patient with ourselves and do our best to allow our journey to unfold, and not to feel we have to be something for someone else. It sounds like what you discovered is that identity is more about who we are at an inner level rather than an outer concept. I know you’ve mentioned that a good part of your journey has involved exploring this inner self, particularly through certain books you’ve read. Can you tell us more about this journey and what influence it has had on your life and career? In college I started reading a lot of self-help books; books about creative visualization, books about altering mind states. I was trying to keep an open mind of how to walk through the world. Growing up there was a lot of opportunity for psychoanalysis in my family. Both of my parents gravitated towards this method, they taught and believed in the ways it could help sort of “peel the onion” if you will. I was okay with that, but I was interested to know if there was another way to self-discovery, another way to figure out self-responsibility in this world. So I started doing my own navigation and journey around what that might look and feel like, and in reading those books I began to practice different ways to do so. And then when I met the father of my child, I was turned onto a spiritual practice that helped me “peel my onion, my way.” From there I was able to understand more deeply the concepts of accountability and self-responsibility, and really from a place of love and humanity. You know, we’re human beings – we get rewired by society and by life and we sometimes forget our responsibility to others, so I think that by sort of taking on these spiritual paths, I was afforded an opportunity to have a deeper understanding of my contribution in this world. I started to really take responsibility for myself and then tried to see how I could help others do the same. It’s really about taking responsibility. Part of the problem is that a lot of people walk through the world with a sense of entitlement and privilege. I mean, all of us do that in some way or another when we chose to suggest that someone else’s issue or struggle is not as important as our own, and that reflects in a multiplicity of ways. I think it’s important for us to find the source of that and find ways in which we can be more responsible and self-accountable. You’ve talked about how the work you do today in its various forms is all focused on a central theme of interdependence – that is, the idea of helping and supporting one another in order to work towards a collective common goal for a better world. Can you expand on the interdependence mindset and what we can gain by working in this way? Well you know, there is the belief that “Until all are free, none are free.” We can walk through the world with what we think is happiness and what we think is success – maybe one is able to achieve a little bit of something for themselves – but until the most marginalized in our communities are seated at tables of progress, at tables in boardrooms and workstations, then that’s not real success. Because until then, it means we’re walking through the world with one perspective. It’s about valuing all perspectives. What are the thoughts that a transgender black woman might have around the issues of the economy? Why do we have to back that mind of that human being into only advocating for their own liberty and security? It’s about going beyond them constantly having to advocate for the right to exist. You know, a transgender black woman might be the greatest scientist that ever lived! They have far more to offer than just the right to exist in the world – that should not be something that they have to fight for. People think in all different ways; people have power in all different ways. How beautiful would a world be where we can all just be who we are and be able to love who we want, and when conflict comes up we can sit down and have a conversation about what we’re really arguing about, and then find ways in which to learn from and help each other. How has making a difference in the lives of others made a difference in your own life? Have you noticed a change in your personal happiness since your life and career shifted into more of an activist role? It’s like if you see somebody fall and you’re able to help them get up, how good that makes you feel to make sure they’re okay. It’s like when you’re able to make someone laugh and how good that feels. I don’t really know how to answer that question because for me it’s just my existence, it’s just the way I do my best to live my life. I wanted to ask because I think that readers who aren’t in a career of service maybe think of that kind of work as draining and depleting, but what I’ve found in talking to women like yourself is that these type of careers actually recharge you and provide a great deal of personal fulfillment. Yes, absolutely it does and I find that other practices of work are far more depleting of my energy and numbing. I feel extremely activated by the work that I do. I’m excited to learn more about another culture, about another person’s needs or desires, and I’m happy to contribute how I can. It’s a very fulfilling practice; it’s not missionary, it serves me as well. I get a tremendous amount of satisfaction from knowing that I’m helping someone else be all that they can be, because it helps me be better at who I am. And in the process the people you get to meet and the people that you learn from is just invaluable. My father used to say about his contribution and his work, when asked if he would change anything or if he had any regrets, he’d say, “You know for many years I served many of my colleagues and the first call that they would have in the morning or the last call in the evening would be to their agents and their managers, to see what they were up for or what was going on,” and he said, “I got the honor for my calls to be with people like Nelson Mandela, with Martin Luther King.” So you know it’s just a way of life – it’s what you choose and what you decide to engage in and how you want to further your own capacity and contribution. We all have an opportunity to do that, and in some ways I think a duty to do that. And I think people can really learn from those who have gone before them. Especially in this moment where many people are wanting to organize and do something. There are some of us out here who have been doing this a long time, and we might have a perspective or two that could help those that are passionate and who want to get involved. I find that some people tend to sort of plow through with this passion, but they’re not really clear on their intentions. So I just caution folks to do their due diligence and hope that they will turn to wiser and more educated minds within that subject, so that they can engage in a way that does not dismantle or undermine those who have been doing this work for a long time. For women who are interested in doing meaningful work like yourself, what would you say is the best way to set forth on that path or make that career transition? I would suggest that first of all, they take a good long hard look in the mirror and ask themselves questions about what they feel passionate about. If they can’t articulate what that might be, then what their interests are. Begin doing research and educate yourself on who’s out there doing that work and then find ways in which to support those spaces and get a deeper understanding of how you can make a difference in those spaces. And then I would say just begin – dive in, see how it goes. If you’re in a position where you don’t have that kind of luxury, where you have to be at a certain job or in a certain space, then see how you can turn that space or that workplace into an area where you can have conversations, where you can discuss things that you find interesting and important; build from there. As someone who practices Kingian Nonviolence, could you tell readers a little bit about the principles behind this way of life? Also, what role spirituality plays in your life and career? The practice is based on nonviolence, it’s about finding ways to confront injustice and to use your spiritual, emotional, and intellectual capabilities as a vital force for change and reconciliation. It’s also a perspective. It’s about looking at the forces of evil, not the people doing the evil; it’s about acceptance, it’s about trying to understand your internal violence and the way in which you create violence within yourself. There’s 6 specific steps to Kingian Nonviolence. The 1st step is about information gathering – it’s about suspending your initial judgement and focusing on facts. Find out who is knowledgeable in the area and get educated, make sure you’re getting the appropriate and correct information. This ties into the 2nd step, which is all about getting educated on the issue. The 3rd step is focused on personal commitment, it’s about being involved and being in it for the long run, and to prepare yourself for that. The 4th step is about negotiation – about understanding other views, understanding perspectives, understanding your so-called opponent so you can negotiate and engage in conflict resolution. The 5th step is about coordinated direct action, which is a very big step; about learning how to protest and how to use your nonviolent capacity. There are very specific tactics and strategies that people need to learn here on what to do under certain circumstances. And then the 6th step is ultimately about having some sort of reconciliation, where it’s more of a decentralized space – it’s not about “one person is right and the other person is wrong” – it’s about a coordinated implementation of leadership going forward that speaks to both sides. So it’s not just a practice, it’s a mindset; it’s a way of life, a way of walking through the world. It’s a way of checking yourself, a way of holding yourself accountable. It’s an incredible philosophy to practice. And then my spiritual practice is called The PathWork, which is more of what some people would call a “woo-woo” kind of practice, in that it’s based on channeled information. It was started by a woman named Eva Pierrakos, who in the 1960’s channeled over 300 lectures on life and process and spirituality. Again, it’s about accountability and peeling the onion and getting a deeper sense of why as individuals we are the way we are and what the ultimate goal of love and self-acceptance and liberty and all of that is; it’s just another way to get there. As co-organizer of the march here in LA for International Women’s Day, I know you are a big proponent of women’s rights and gender equality. In a country where women make up 4% of the Fortune 500 CEO’s and just 19.4% of our Congress, what do you think the world has to gain as we rise in equality and representation in the workforce? I tend to think of the feminine and the masculine from this organic kind of yin and yang approach – we have different ways of walking through the world and approaching conflict and resolution, but both are needed to be balanced. But that yin/yang energy is not balanced right now. In some ways I feel like men have been in charge for long enough and it’s time for us to say, “You know what, let’s try another way!” Let’s be open to other ways in which we can achieve the same goals. We all want food, shelter, and clothing … we all want roofs over our heads, we all want to be able to have an opportunity to be all we can be … so let’s start looking at what that really looks like, instead of having it dictated to us by somebody who doesn’t really have the best interest of the whole at heart. I don’t mean this as a generalization, I realize that not all men are bad, not all women are great, but we do have an opportunity to all share the responsibility, which I don’t see happening right now. The way the government is structured, the way our lives are structured, are all based on white male land ownership. I think at one point it served a purpose in our evolution, but I think now it’s important for there to be another way to go about it, and I think women in many ways hold the key to what that looks like. Who are some women who have inspired you throughout your career journey and what are your thoughts on the importance of having inspirational role models in your life? My mother has been a huge influence on me. Also Angela Davis is a sister warrior who has had a big impact on my life. Dolores Huerta is extremely incredible. Paula Weinstein, who was a mentor of mine in the entertainment business. My sisters, my friends – my friends have inspired me so much with their challenges and struggles and the way in which they’ve been able to articulate themselves. My daughter for her capacity and her agility and her youthfulness. I mean they’re just all around me, they’re everywhere. I think sometimes we look farther than we need to, sometimes we get into the Dorothy syndrome where we’re lost and looking so far from home, when actually the inspiration and the mentorship we’re looking for is right in front of us. See who in your community is speaking to what you want to achieve and what you want to accomplish and you may not have to go very far. LEARN MORE: HEAD OVER TO SANKOFA.ORG TO STAY CONNECTED ABOUT EVENTS AND WAYS TO GET INVOLVED. FOLLOW GINA ON INSTAGRAM, FACEBOOK AND TWITTER TO STAY INSPIRED!